? 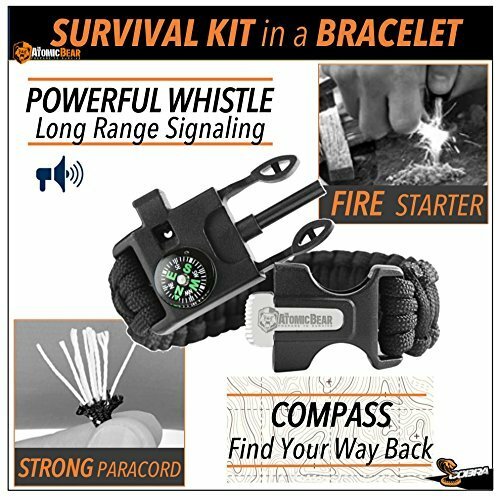 BE READY TO SURVIVE WITHOUT STUFFING YOUR BACKPACK - Find the 5 survival gear essentials in just one bracelet : fire starter, reliable compass, loud emergency whistle, emergency knife and 12 feet of military-grade paracord. ? DON'T STRESS ABOUT GETTING THE SIZE RIGHT - Unlike other options, the Cobra bracelet is adjustable to fit small and big wrists. Perfect outdoor enthusiast's gift and gadget. ? DID YOU KNOW THAT COLD IS THE #1 CAUSE OF DEATH? - Beat the statistics. In emergency, use the flint steel to start a fire and secure a shelter using the paracord to fight hypothermia. ? BE READY WHEN SHTF - Add the Cobra to your tactical gear or wear it when hunting, fishing, hiking, camping, etc. ? 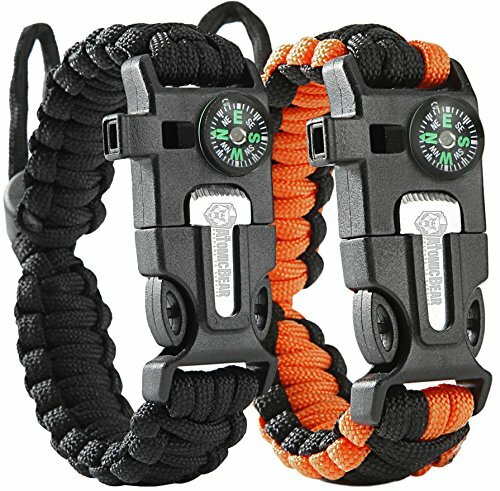 LIMITED TIME OFFER - Currently comes in a pack of 2 bracelets: one black and one orange+black (see pictures). Includes a lifetime warranty and instructions on how to make a fire. Buy Now.